Disclaimer: I don't usually like to get involve in very opinionated things around the DOC, but today I felt like I wanted to get involved, so naturally, this post is really really long, so if you don't want to read it, please don't feel obligated. This is my own personal opinion on the possible FDA re-labelling of CGMs, so feel free to disagree because it is an opinion, but please don't be mean about it. (Even though I know the DOC isn't mean, I have to include that.) Oh and a final note: take my opinion with a grain of salt. Now, enjoy reading this too long and MLA cited post about why I don't want the FDA to re-label CGMs. After reading Ally's blog post (Apparently I've been very inspired by her lately!) about the pending FDA approval of CGMs as devices that can be used to dose insulin off of, I realized I totally agreed with her opinion on the matter. Before reading her post, I hadn't thought much about whether or not I supported the FDA re-labeling of CGMs. I understood that most, if not all of the DOC support this re-labelling, as it could potentially increase accessibility for patients that have difficulty receiving approval from doctors or insurance for use of CGMS. This change could also potentially help the members of the DOC campaigning for Medicare's approval of CGMs as devices covered by their policies. I am in no way against any of these things. I love my CGM and wish that everyone had the same access to these medical devices, since they are extremely helpful in diagnosing blood sugar problems and patterns; unfortunately, I don't think this re-label of CGMs would reach the desired goals of many activists and this re-label could lead to many undesired consequences. The FDA is planning on having a hearing with its Clinical Chemistry and Clinical Toxicology Devices Panel of the Medical Devices Advisory Committee to discuss "a proposed change in intended use of Dexcom, Inc.’s, Dexcom G5® Mobile Continuous Glucose Monitoring System (CGM) device so that, in addition to tracking and trending interstitial fluid glucose concentrations, patients can use the device as a replacement for their blood glucose meters and make treatment decisions based on the interstitial fluid glucose concentration reported by the CGM" (Warner). This panel will be open to the public to comment on and possibly help influence the decision makes regarding approving CGMs as devices that can be used for dosing purposes. Most diabetes advocates have been supporting going to this meeting and advocating for this approval by the FDA, since "[many] individuals are already making treatment decisions off CGM readings, but currently, this is considered 'off-label.'" ("They Are Not Waiting. Neither Should We.") As an individual that occasionally uses my CGM to dose, I know that the FDA's approval of this simply doesn't matter to me or the many other diabetics that also use their CGMs to dose. The FDA also doesn't approve the use of CGM sensors in places other than the abdomen, yet many people, me included, put their sensors on their arms, legs, and hips without regard to the agency's current stance on this. Because of the fact that most diabetics already do these things, I honestly do not think that re-labelling CGMs as a primary care devices will change anything that diabetics using CGMs do. Many people also support this re-label because the, "CGM needs a label replacement claim before it can qualify for a Medicare benefit category. Until that happens, Medicare will not even consider covering it." ("Sign diaTribe's Letter to the FDA Supporting Use of Dexcom CGM for Making Treatment Decisions - Due By July 13.) If Medicare refuses to support coverage of a device that is not labelled as a 'primary care device,' then the problem is not the FDA's lack of a certain label, but instead it is with the rules that Medicare has put in place to be used when reviewing devices for their own coverage approval. Yes, this re-label may solve the singular problem that diabetics are having: needing Medicare to cover CGMs, but it isn't solving the overall problem that could affect our community later on, if a similar situation occurs to the diabetes community, or the countless other communities also affected by Medicare's rules regarding approving certain medical devices. This solution to the problem could lead to the intended result of having CGM's approved for Medicare, but it could also be a dead-end. This re-label would simply lead to Medicare considering coverage for CGMs; it is not a guarantee. Because continuous glucose sensor manufacturing has not progressed to the accuracy and precision of blood glucose meter strips, sensor glucose signals must be calibrated against corresponding blood glucose meter levels. Such calibrations transforms the sensor signal into a glucose value and assumes that the plasma-to-IF glucose gradient remains relatively constant. This assumption will not be valid if sensors are calibrated during rapid changes in plasma glucose, which is a major source of sensor error. The effect of sensor lag on performance is most obviously seen during periods of rapid glucose rate of change (either up or down). Sensor levels may trail glucose levels by 5–10 min during periods of rapid change, but the most important effect on lag is to introduce error during calibration, which affects long-term sensor performance. Moreover, changes in plasma–interstitial gradient in certain physiological conditions, like insulin-induced hypoglycemia, may be misinterpreted as sensor inaccuracy (Cengiz, Tamborlane). This study proves that interstitial fluid testing, when compared to blood testing can be much less accurate. As I read Ally's post, I actually had to retest my blood because I had been running high that night. My CGM said I was 248 with a straight right arrow, meaning that my blood sugar wasn't changing much, but my blood tester told me I was 301 and 329. (I double checked, to make sure it wasn't a fluke.) That is up to an 81 mg/dl difference, or a 2 u of insulin difference, which is huge for me. Covering for the 248 would have brought my bg down some, but not into my target range, and I would never know better if I only used my CGM. This huge difference is a major issue for me and I don't want to imagine accidentally covering someone for a false high and then having them go low because of it. If studies done by scientists show that blood readings from CGMs are not as accurate as our meters, I'm going to trust them. My own personal experience shows this, too. Sometimes my CGM is more accurate than my meter, instead of being the other way around; however, that is because I don't wash my hands/ use an alcohol swab/ change my lancet before every check. That is something I could change (if I felt it was worthwhile); on the other hand, my CGM sensor checking my bg from my interstitial fluid cannot be changed by anything I do, so it's inaccuracies are not caused by user error, but by device error itself. This potential re-labeling could also lead to a forced choice or lack of access to test strips and blood testers because if CGM's are given the label of a 'primary care device,' insurance companies may decide that since blood testers are also of equal importance (even though blood testers do not have this label, interestingly enough) and they will force consumers to choose one or the other, rather than being able to use both. Insurance companies may also simply disregard the label because blood testers and CGMs will be considered equal, but test strips and blood testers will still be incredibly cheaper than CGMs, so they will naturally lean towards only covering the cheaper of the two options. If insurance companies choose to approve individuals using both devices, they may begin to limit the number of test strips being allowed for daily use. Since CGMs must be calibrated only two times per day, this may be the new allowance of prescribed test strips for a day. Two test strips. That sounds awful and could lead to huge issues when someone is trying to ensure their blood sugar readings from their CGM are accurate, especially in times when blood sugar is increasing or decreasing rapidly. If we want CGM's to be approved as accurate testing devices, why not go the scientifically proven route and petition for scientists work on improving CGM technology, so they are actually more accurate, instead of petitioning law-makers and FDA officials to support the re-labeling of a device that isn't supposed to be used for the purpose these officials are approving it for? Yes, this will lead to more CGM access, theoretically, but there are better ways of going about this. If we don't want to wait for science, we can work on teaching law makers, representatives, and healthcare company executives about how important CGMs can be for supplementing blood testing and improving blood sugars for diabetics. By doing this, law makers and representatives can push for CGMs to be covered by all insurance companies, including Medicare, which seems to be a large reason why people are supporting the campaign. We could also attempt to help influence law-makers to attempt to change the requirements for device coverage from Medicare, which would not only help the diabetes community, but also many other health communities. Being 'off-label' also hasn't stopped anyone from putting CGM's in their arms or legs, using sensors for more than 7 days, or dosing with their CGMs, so this vote shouldn't change anything in that area. Instead, this action may lead to a situations Ally described, where people may accidentally cover a CGM high that is actually a mid-100s bg or people's access to test strips may be drastically reduced to off-set the costs of CGMs. And no one wants these things to happen. The potential pay-off of making the "off-label" choices you already make approved by the FDA, and the possible increase of access to CGM's for all isn't worth these uncertainties to me and I don't feel comfortable supporting a cause that could unintentionally lead to the endangerment of people's lives. Cengiz, Eda, Tamborlane, William V. "A Tale of Two Compartments: Interstitial vs Blood Glucose Monitoring." Diabetes Technology and Therapeutics. June. 2009: S-11-S-16. Web. "Dexcom G4 Platinum CGM Performance & Accuracy." Dexcom. Dexcom, n.d. Web. 19 July 2016. "Sign diaTribe's Letter to the FDA Supporting Use of Dexcom CGM for Making Treatment Decisions - Due By July 13." The diaTribe Foundation. The diaTribe Foundation, n.d. Web. 19 July 2016. "They Are Not Waiting. Neither Should We.." We Are DPAC. 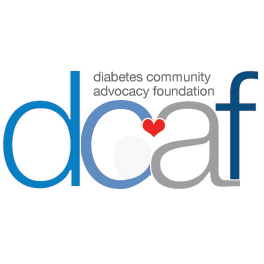 Diabetes Patient Advocacy Coalition, 28 June 2016. Web. 19 July 2016. Warner, Jill Hartzler "July 21-22, 2016: Clinical Chemistry and Clinical Toxicology Devices Panel of the Medical Devices Advisory Committee Meeting Announcement." FDA. US Food and Drug Administration, 24 May 2016. Web. 19 July 2016. I almost completely disagree with you, but compliment you on stating your views reasonably. We in the DOC do not speak with a singular voice and that in and of itself is a great thing.